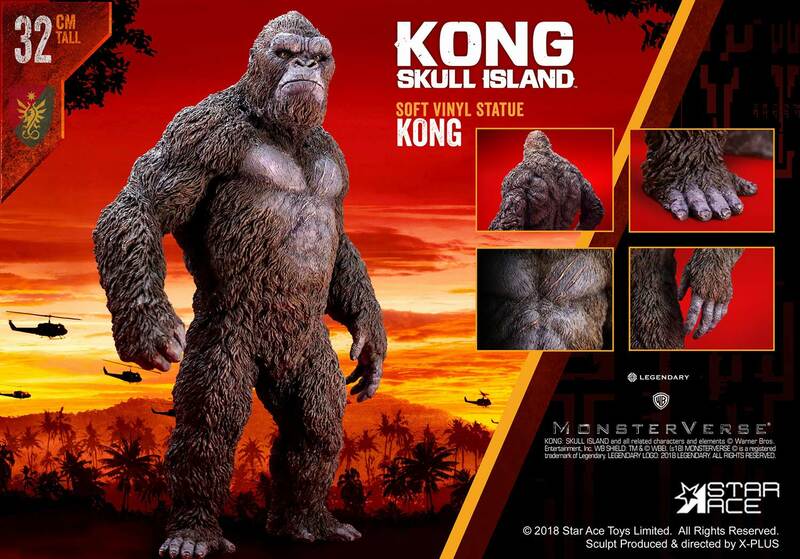 KONG IS KING: X-Plus/Star Ace’s SKULL ISLAND 32cm Stunning Vinyl Hits This Summer! – SKREEONK! Hey, fellow collectors! 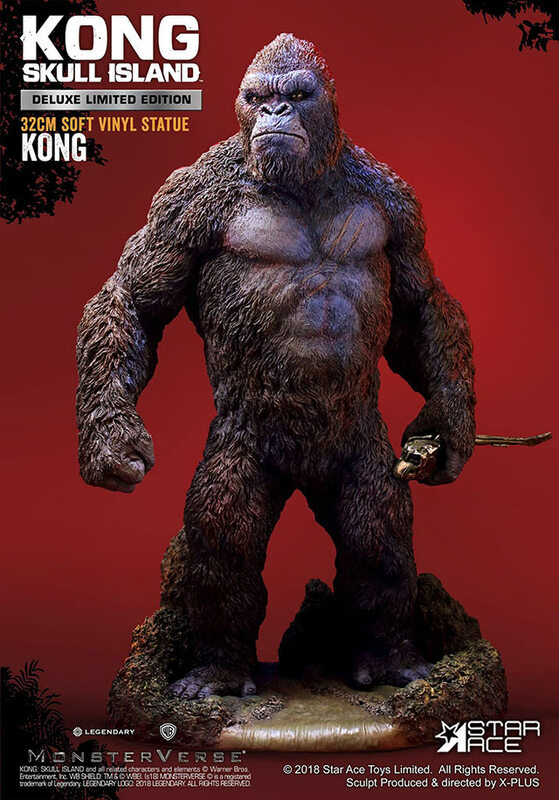 Our pal John over at ever-incredible brother-site, kaijuaddicts.com, has the full scoop on Star Ace/X-Plus’ upcoming KONG: SKULL ISLAND 32cm (30cm series) King Kong vinyl figure! 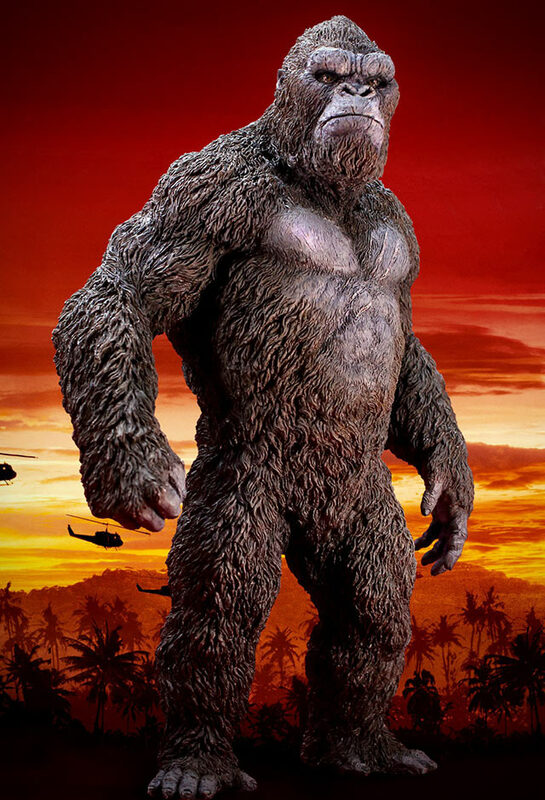 Star Ace Kong 32cm Vinyl Statue Pre-order and Release Details are all available in full at Kaiju Addicts! Kong will be available in two versions: Standard and Deluxe. Star Ace’s Facebook Page states the Standard Version will sell at $139.99, and the Deluxe Version for $179.99 MSRP. For MORE PROMOTIONAL IMAGES & WHERE TO BUY & everything X-Plus, ever, be sure to head on over to KaijuAddicts.com and say hi to Stanowski for us! Massive thanks, again, to John Stanowski for this detailed write-up, and our friend & head honcho of X-Plus/Star Ace Gee Okamoto-san for being the best there is at what he does! Previous Post BREAKING: ‘RAMPAGE’ MO-CAP Star Jason Liles to Play KING GHIDORAH In ‘GODZILLA: KOTM’!